The world will be in deep trouble if it fails to tackle climate change and inequality, IMF managing director Christine Lagarde warned on Tuesday. "If we don't address these issues... we will be moving to a dark future" in 50 years, she told a major economic conference in the Saudi capital. 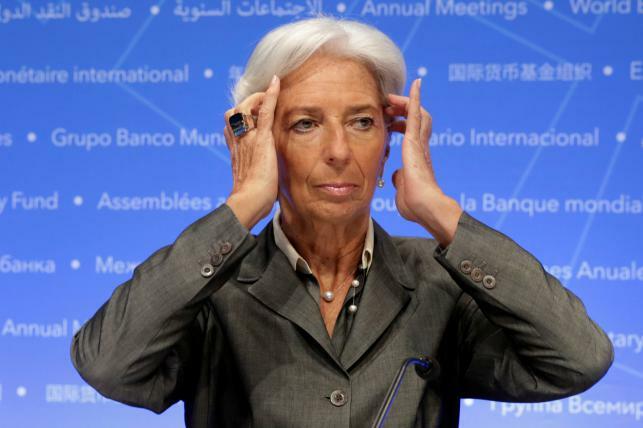 On climate change, Lagarde said that "we will be toasted, roasted and grilled" if the world fails to take "critical decisions" on that problem. In 2015, around 195 nations signed the Paris climate agreement which set out goals to reduce greenhouse gas emissions, so as to prevent temperatures rising by more than two degrees in around 50 years. His move faced fierce criticism from world leaders and activists, with former UN Secretary General Ban Ki-moon accusing Trump of "standing on the wrong side of history". Lagarde also called for tackling inequality between men and women and countries that are "haves" and those that are "have nots". If the world wants a future that "looks like utopia and not dystopia", it needs to address such concerns, Lagarde said. She predicted that in 50 years' time, oil will be a secondary commodity. In a statement following her visit, Lagarde praised Saudi reform efforts and moves to address the economic effects of persistently low oil prices. "Saudi Arabia is also undertaking reforms to reduce constraints to women entering the workforce," Lagarde said in the statement, pointing to a recent decision to allow women to drive. Female entrepreneurship could be boosted through fiscal incentives and other policies, she added.